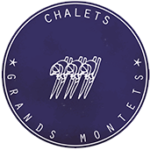 At the latest, upon arrival, the Tenant will pay a 2000 € deposit into the account of Chalets Grands Montets either by cheque or by credit card. The deposit will be refunded within 7 days maximum after checkout, provided no costs are incurred because of damage or deterioration to the property, contents or furniture. Check in time between 5 and 7.30 pm. Check out time before 10.30 am. The Tenant expressly agrees to vacate the premises entirely, on the day of departure, before 10.30 am, and to return the keys to the Owner. The present agreement is concluded in the sole interest of the Tenant named at the beginning of the agreement. Any assignment, partial or total sublease, even free of charge, is strictly forbidden. The Owner is entitled to refuse any extra persons not mentioned upon reservation. The Wi-Fi network provided by the Owner forbids the Tenant to illegally download any contents that contravene intellectual property rights or to visit illegal websites. Should you wish to proceed with your reservation, we will ask for 30% deposit. The remaining balance will be required 30 days prior to arrival. You will find attached our seasonal rental agreement to send it back with a credit card number or a bank transfer (bank details upon request). Any cancellation must be notified to the Owner before the scheduled beginning of the stay. Cancellation by the Owner in case of Force Majeure: A full refund will be issued to the Tenant. In case of a dispute between the parties, the court of the Owner’s place of residence shall have exclusive jurisdiction. The present agreement and its outcomes are subjected to the French law. 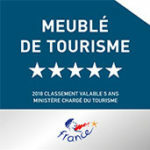 Visitor’s tax (0,75 € per adult per day). Customer welcome in the Chalet and handing over of the keys. Clean sheets, bathroom and household linen. A guest card for free access to local transport. * Please note: The kitchen (including the oven, fridge, dish washer and sink) must be cleaned. The Tenant is provided with an inventory of fixtures including a list of the furniture, upon arrival. Any objections are to be made within 48 hours, after which the inventory of fixtures provided by the Owner shall be considered as agreed upon without reservation, by the Tenant. The Tenant agrees to occupy the premises with due care and with no disturbance to the neighborhood. Any damage will generate costs which will be deducted from the security deposit. It is strictly forbidden to move the furniture. The Chalet is completely non-smoking. 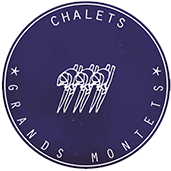 All degraded Chalet items and elements will be invoiced at the purchase value. 50 € if the kitchen is not clean. 100 € if the furniture are moved. The use of the fireplace provided is under the Tenant’s responsibility. A daily number of logs is provided. In order to use the fireplace, it is forbidden to use more than 3 logs at the same time. The Tenant is responsible for any damage he may have caused. The Owner advises the Tenant to take out a comprehensive housing insurance policy, in order to avoid any housing risks. The Tenant will have no recourse against the Owner in case of theft or depredation inside the rented accommodation. The Tenant agrees not to smoke inside the Chalet, the accommodation is non-smoking. Pets are not allowed unless exceptionally authorized, in writing, by the Owner. The Tenant undertakes to respect the maximum capacity of 6 people (children included). The Tenant cannot deny the owner or his representative access to the premises should they ask.